Since the question started to become more serious (2012), two different theories have been developed on the topic. The first one, known as the domino theory, states that a possible Greek withdrawal would lead markets to wonder which country could leave the Eurozone next. The fate of the other countries would then be questioned, similarly to what happened during the sovereign debt crisis in Europe in 2010-2012. The consequence could be an implosion of the Eurozone. Instead, according to the other vision, the theory of ballast, the Eurozone would actually be strengthened by Grexit. The monetary union would finally manage to erase a constant problem. Additionally, a decision to let Greece leave the Eurozone, or push it to do so, would increase the credibility of its rules. In 2012, the former one seemed sufficiently realistic to push the creditor countries to put the option of a Greek exclusion aside. The German Chancellor, Angela Merkel, decided to officially visit Athens where she expressed her «hope and desire» that Greece would keep up being a Member. Nowadays though, the situation is quite different. The rating agency Fitch has recently declared (6th March) that, although Grexit is still a concrete risk, Eurozone is now immune to risks contagion. «The Eurozone has developed mechanisms to alleviate the risk of contagion and concerns about the solvency of other Member States are less evident than what they were like in 2012. 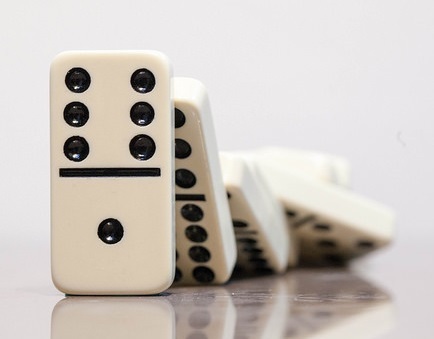 A domino effect from Grexit is therefore unlikely to happen», remarked Fitch. Indeed, adds the agency, the market stress has considerably decreased. The financial support programmes no longer support Ireland and Portugal, the Eurozone financial system has been strengthened by the decision to move towards a banking union.